Adult winter nets will start on Wednesday the 14th of January. These nets are open to all adult club members from 15 years+ (as at 1st Sept. 2014)and will be held at Freman College in Buntingford in their new sports hall from 8- 9.30pm. These nets will be £4 per session per person. Club nets will be held on a fortnightly basis and will run through to April. If there are any issues please contact Marcus Martin 2nd XI Captain. 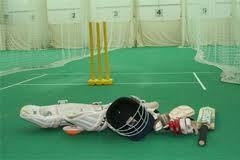 First team nets sessions will start on Wednesday the 21st and will run fortnightly from 8 till 9.30pm. James Heslam will be in contact with the first team squad to discuss participation numbers. You can see the dates via the club calendar here. You can find the contact details for the Captains here.